In 2011, Good Charlotte au decis sa ia o pauza de la concerte si turnee pentru a se linisti si pentru a-si regasi inspiratia si creativitatea pe care le-au avut in anul 2000. 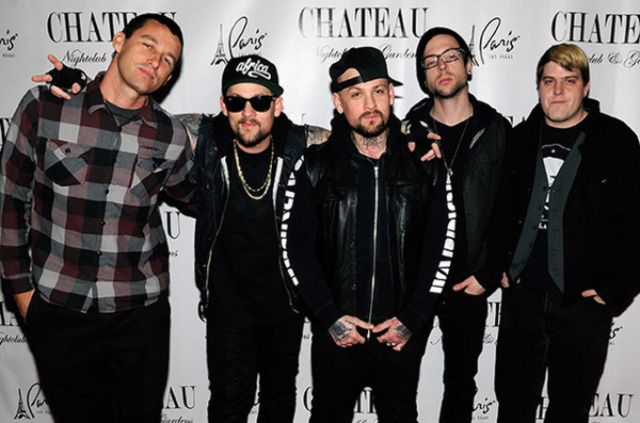 Dupa 5 ani de absenta, Good Charlotte s-au reunit, spre bucuria fanilor, iar acum sunt intr-un turneu de promovare al celui de-al 6-lea album, Youth Authority. "I think the reason that we took a break from the band was to find that spirit again, and the only way we could do that is living our lives and stepping away from it," he told. CBS Local in Philadelphia, Pennsylvania. "You go into making your first record and essentially you had 18 years to write it... All of the sudden everyone knows your band and all in the sudden there’s a demand, and then it’s like ‘oh we got to write another one’. "You don’t necessarily ever write one record from the same place, and you always wish you could get back to that feeling you had before that first record. Before you knew. When you were still green. ", a declarat Benji pentru Music News. In ianuarie 2015, Benji s-a casatorit cu actrita Cameron Diaz. Benji este convins ca viata lui personala l-a ajutat sa-si recapete simtul creativ, iar noul album il face sa se simta de parca a luat totul de la inceput.